The lower jaw is more commonly fractured than the upper jaw. We utilize minimally invasive techniques (bone grafting, interdental wiring, composite splinting) that restores their occlusion (alignment of their teeth) and will relieve pain. Ultimately, allowing these patients to eat and interact with family during healing. An evaluation under anesthesia with dental X-rays (sometimes CT imaging) is needed to determine treatment options and cost. 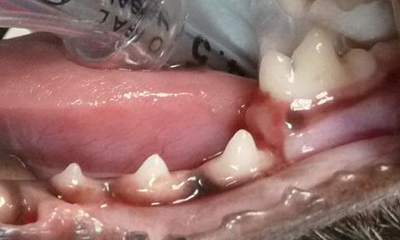 Fracture repair can be challenging due to tooth root length/location relative to the fracture, possible existing tooth/bone disease, and bone plating is rarely performed in companion animals due to mandible/maxillary (lower/upper jaw) anatomy. 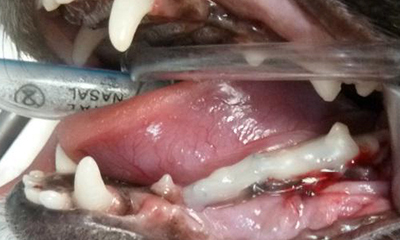 Veterinary dentists are best equipped and trained to treat these conditions. Dental X-rays are needed to evaluate the fracture(s), adjacent teeth and vital structures (blood vessels, nerves, and nasal cavity). Many patients will need oral surgery (extractions, bone grafting), and closure prior to stabilization techniques is performed. 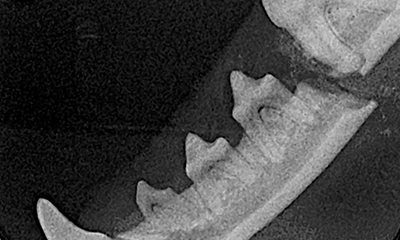 Dental X-ray showing jaw fracture. Dental X-ray showing wire/composite splint with bone graft. Your pet needs to be evaluated under anesthesia before a treatment plan can be determined, which will include analysis of affected teeth, the needed oral surgery, stabilization technique/procedure and cost, and length of procedure (ie. 1.5 to 3 hours). 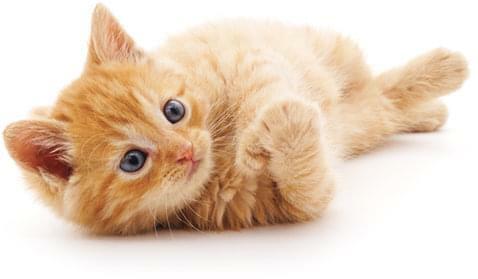 Ideally, your pet is stabilized from his/her trauma (fluids, pain medications, and chest X-rays) prior to transfer. We prefer to treat these patients within 3 days and most cases require us to re-schedule 1-2 of our current cases to have sufficient time and staff to perform the care these patients require. Cases are treated using modifications of veterinary published techniques and the experience we have accumulated over the past 15 years. 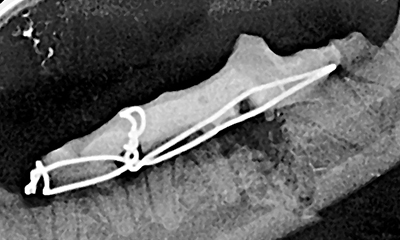 The most common techniques involve interdental wiring and composite splinting of teeth on either side of the bone fracture. Healing generally occurs over 6-8 weeks at which time your pet is re-anesthetized, evaluated and stabilization material is removed. A cost estimate will be provided for the initial procedure and the re-evaluation/second anesthesia/removal 6-8 weeks later.